DEVON U15s’ development tour of South Africa got off to a flying start. They secured their first victory by beating the Johan Rudolph Academy team by 28 runs at the picturesque Skukusa Cricket Club, writes Jim Parker. Skipper Jasper Presswell (Hatherleigh) set the standard bar high for Devon with a magnificent run-out as the visitors made inroads into the Academy batting early on. Opening bowlers James Rowe (Torquay) and Ethan Carlisle (Plymouth) grabbed a wicket apiece to put the home side firmly on the back foot. Then Josh Couch (Shaldon) turned the screw with a spell of three for 33 from his 10 overs as the Academy were bowled out for 138 in the 48th over to give Devon victory. The next cricket challenge is a two-day Battle of the Kruger game against Nelspruit Hoërskool. 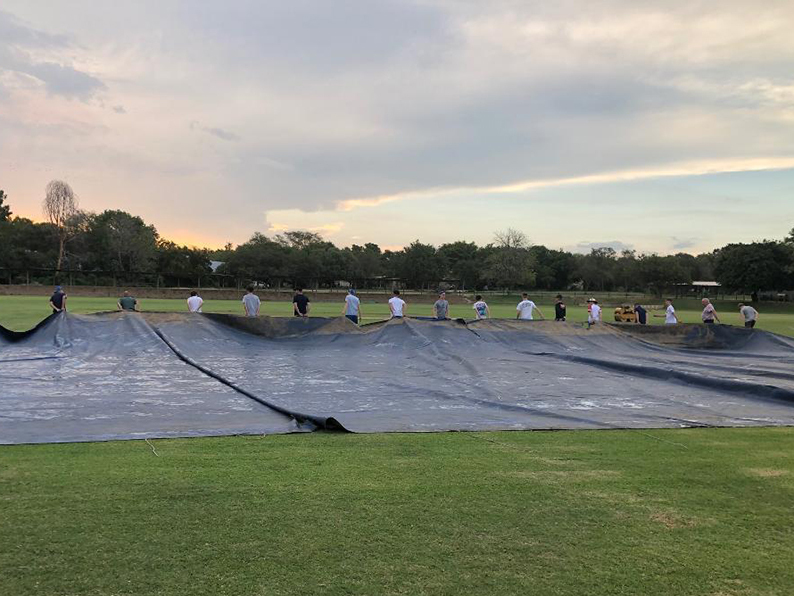 There was a threat of rain the night before the game so part of the players’ supper duty was putting on the covers.